Between the hours of 10AM and 1PM on most Fridays, Mr. Sauer instructs elementary, mid and high school students on the design, contruction, and safe flight of low, medium, and high power rockets. 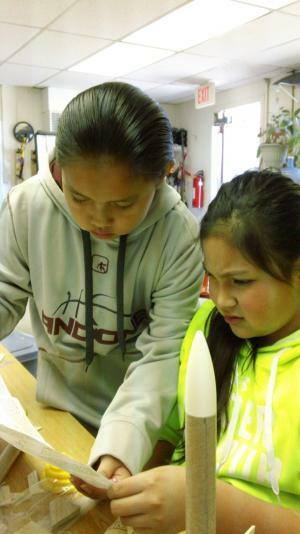 Elementary RocketKids learn the basics while flying low-power rockets. These rockets fly between 40 and 90 MPH and climb to altitudes between 200 and 1,000 feet. 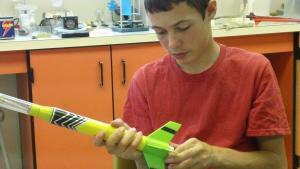 MidSchoolers build and fly medium power rockets. These travel between 100 and 150 MPH and reach altitudes of about 2,000 feet. High School RocketKids fly under Mr. Sauer's supervision using motors that can attain speed of 500 MPH and reach altitudes between 2,000 and 10,000 feet in as little as 7 seconds. These students sometimes fly experiments that measure some aspect of a questioned condition (such as how static electricity is collected by a moving airframe). 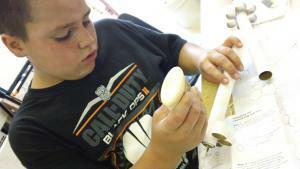 He also mentors science fair students conducting research into various aspects of rocketry. Mr. Sauer is a certified Level II Rocketry Specialist and a member in good standing with both the National Association of Rocketry and Tripoli Rocketry Organization.